On the screen at Brookline’s Coolidge Corner Theatre, WPI’s Kristin Tichenor recounts with pride how WPI’s faculty made the bold decision to support a test-optional admissions policy after three years of intensive study and data analysis. In so doing, WPI became the first nationally ranked science and engineering school to make the submission of SAT and ACT scores optional for applicants. “For a place that loves numbers, the WPI faculty were remarkably open to the notion of making admissions decisions without the benefit of test scores,” the university’s senior vice president for enrollment and institutional strategy says in the film, The Test and the Art of Thinking, directed by Michael Arlen Davis. It was a decision, she says, that completely changed the conversation between admissions staff and prospective students. And it has led to dramatic gains in the number of women and underrepresented minority students at WPI, while increasing the quality of the university’s student body. “We now have twice as many women applying and twice as many underrepresented minority students as we did before we adopted a test optional policy,” Tichenor says in the film. The documentary was shown on May 20 at the Coolidge Corner Theatre; Tichenor participated in a panel decision after the film with producer Sherry Daniel and William Hiss, former dean of admissions at Bates College. In 1984, Bates was one of the first colleges in the test-optional ranks. There are now nearly 1,000 colleges and universities with test-optional admissions policies. The Canobie Films documentary uses interviews with students, parents, test prep tutors, testing and higher education experts, college presidents, journalists, and admissions professionals like Tichenor to question the validity of using the high-stakes tests as important measures in college acceptance decisions. Daniel said during the panel discussion that Davis decided to make the film after witnessing his daughters going through the SAT process. Tichenor told the audience of about 80 people, “What I love about this film is that it debunks many of the myths associated with the test and with how people view their scores and how colleges use the test. Hiss said he was concerned about false negatives and false positives on the standardized tests that keep qualified students out of the schools where they could flourish, and allow other students to be accepted at colleges where they are bound to fail. He pointed to a former Bates student from rural Maine who didn’t have the resources to improve his test scores but did have the distinction of being the youngest Emergency Medical Technician instructor in the country. The young man went to Bates and is now a physician running an emergency room at a large Florida hospital. In a 2017 report, the College Board, which oversees the SAT, responded to the test-optional movement by pointing to research that it says shows that the best predictors of college success are SAT scores combined with high school grades. The report also indicates that there’s little evidence that test-optional policies increase diversity, and that most of the schools identified as test-optional are for-profit schools, special focus schools, two-year certificate schools, or schools that never used college entrance exams. “The vast majority of US colleges require SAT scores as part of the application process and all of them accept scores,” according to the report cited by the College Board. The film argues that the SAT, which has long been promoted as an equalizing force that colleges could use to cut across applicant differences, does not accurately predict a student’s readiness for college and can be gamed by affluent applicants who have the money to hire tutors and learn strategies for raising their scores. The film traces one student’s preparation for the SAT with a tutor who is teaching him strategies like “Black Magic,” where a test taker can succeed on a question without knowing the right answer or even reading the question, simply by recognizing patterns in the multiple choice answers. And one admissions official wonders, ruefully, if maybe “being cagey rather than being thoughtful” is what Americans are looking for in their education. The film also offers the view of Wayne Camara, the Horace Mann research chair and former senior vice president of ACT, which produces the ACT test. The film describes how several states have begun to use the SAT as a federal qualifying test for graduating high school seniors, making some educators worry that the test will now infiltrate the K-12 curriculum. It also points out how the tests have been bolstered by colleges worried about their rankings and have spawned billion-dollar industries such as Test Prep. 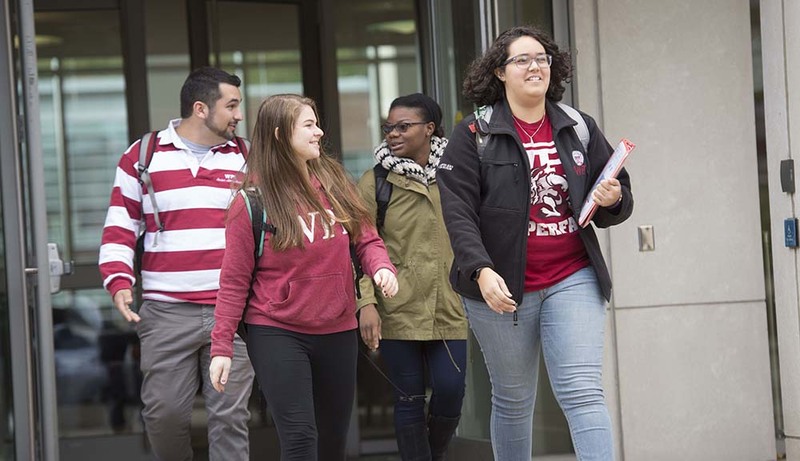 Tichenor explained that admissions professionals at WPI and other universities consider a student’s success in high school, the rigor of their course of study, their extracurricular accomplishments, their recommendations, and their personal statement. She said WPI admissions officials look at the qualitative elements of an application before looking at the quantitative elements like test scores so the scores do not bias their review. “This is what is referred to as holistic admissions,” she explained. The film premiered in New York City and has showings at select theatres in Metro DC, Portsmouth, NH, and Nantucket in the coming weeks. Tichenor was also present for one of the film's test screenings at the Kendall Square Cinema earlier this year. Daniel said the film will be screened on a number of college campuses next fall and at the national conference of the National Association for College Admissions Counseling (NACAC) in Salt Lake City in September. Tichenor will be part of a panel discussion at the NACAC conference. During an interview last week, Tichenor said two higher education experts in the film—Scott Jaschik of Inside Higher Ed and Lloyd Thacker of The Education Conservancy—had recommended her to the film’s producers. “I'm in the film because of WPI's positive experience and because I have been an enthusiastic proponent of test-optional admissions policies,” she said. “There is nothing fair about the SAT. This test does not fairly measure the academic aptitude of students across the board,” said Tichenor. “What the SAT predicts best is socioeconomic status and privilege," she said. "By adopting a test-optional policy, we are telling prospective students that we care more about your demonstrated academic ability than a standardized test score that allegedly measures academic aptitude. Tichenor said the three years of study that preceded WPI’s decision to go test optional in 2007 showed that the tests underpredicted the college success potential of women and minorities and that misperceptions about the role of standardized was keeping underrepresented students—including first generation, low income students—from applying. In the 10 years following WPI’s decision to go test-optional, applications from women increased by 99 percent and those from underrepresented minorities rose 146 percent. Enrollments for women were up 81 percent and for the minorities, 156 percent. The percentage of women enrolled in the WPI Class of 2021 was 44 percent, the highest ever. During that same time span, the percentage of incoming students with a high school grade point average equal to or greater than 3.75 went from 48 percent of the class to 77 percent. She thinks WPI’s test-optional policy is an important differentiator for the university. “The reason this policy makes so much sense for WPI is because of our project-based curriculum,” she said. “This is not the kind of institution where you can excel if you are simply a good test taker. This is the kind of place that requires you to roll up your sleeves and work shoulder to shoulder with other students on problem solving, on coming up with creative approaches to issues and demonstrating your capacity to take the theory that you learn in the classroom and apply it to real-world problems. Tichenor said she hopes to see college admissions practices become less biased against first-generation college students and students from disadvantaged backgrounds. “In an ideal world I would like colleges and universities to be more thoughtful about the ways they are evaluating candidates,” she said. “I believe many of the criteria we use to evaluate candidates at the point of entry are dated and favor students from privileged backgrounds. We profess to value access, and yet the measures we have in place to evaluate a student's potential to succeed in our academic environment work against those goals.